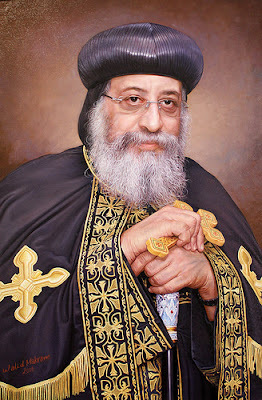 Raymond Ibrahim applies his penetrating insights into the historical continuity of Islamic persecution of Christians to the tragic case of the Coptic Pope Tawadros II’s recent remarks. His All Holiness Ecumenical Patriarch Bartholomew of Constantinople has written of a “dialogue of loving truth” with Islam, and of Orthodoxy having for centuries “coexisted peacefully” with Islam, and projects the chimera of an “interfaith commitment… still felt and lived by Greeks [and] Turks” as an example for all to follow (Encountering the Mystery, Ecumenical Patriarch Bartholomew, Doubleday, 2008, xxxvii, 196, 174). Christian bishops are called to “rightly divide the word of truth,” not to praise a false religion, false god, and false prophet which vehemently denies Jesus Christ and violently persecutes and slaughters Christians. These false teachings are bound to at the least confuse the faithful, and at worst may lead them directly into apostasy and denying Jesus Christ. Orthodox hierarchs, including, tragically, the “first among equals” (the Ecumenical Patriarch) who spew forth such bald faced praises of the “forerunner of the Antichrist” should be met by swift denials and cries of “ANAXIOS” from faithful Orthodox Christians who are not ashamed of the Lord Jesus Christ and care not about those who kill the body but cannot touch the soul.